A century from now, it will be well known that: the vacuum of space which fills the universe is itself the real substratum of the universe; vacuum in a circulating state becomes matter; the electron is the fundamental particle of matter and is a vortex of vacuum with a vacuum-less void at the center and it is dynamically stable; the speed of light relative to vacuum is the maximum speed that nature has provided and is an inherent property of the vacuum; vacuum is a subtle fluid unknown in material media; vacuum is mass-less, continuous, non viscous, and incompressible and is responsible for all the properties of matter; and that vacuum has always existed and will exist forever….Then scientists, engineers and philosophers will bend their heads in shame knowing that modern science ignored the vacuum in our chase to discover reality for more than a century. The quote above comes from Paramahamsa Tewari, Inventor of what’s called the Reactionless AC Synchronous Generator (RLG). What he says above has been the subject of discussion within the realms of physics and astronomy for decades. At the turn of the nineteenth century, physicists started to explore the relationship between energy and the structure of matter. In doing so, the belief that a physical, Newtonian material universe that was at the very heart of scientific knowing was dropped, and the realization that matter is nothing but an illusion replaced it. Scientists began to recognize that everything in the Universe is made out of energy. What’s even more fascinating is that the “stuff” within this space can be accessed and used. This was experimentally confirmed when The Casimir Effect illustrated zero point or vacuum state energy, which predicts that two metal plates close together attract each other due to an imbalance in the quantum fluctuations (source)(source). You can see a visual demonstration of this concept here. Before Casimir, these pockets of “nothing” were thought to be voids. Unfortunately, when contemplating the nature of our reality and what we perceive to be our physical world, the existence of the vacuum and and what lies within what we call “space” is very much over-looked. I find it amusing how we’re still searching for the ‘God’ particle when a large amount of evidence points to the idea that most of what we refer to as “reality” is actually something we can’t perceive with our physical senses! It’s quite confusing, which is why I am posting the video below of someone (out of many people) who spends their life researching and experimenting with these cool concepts. 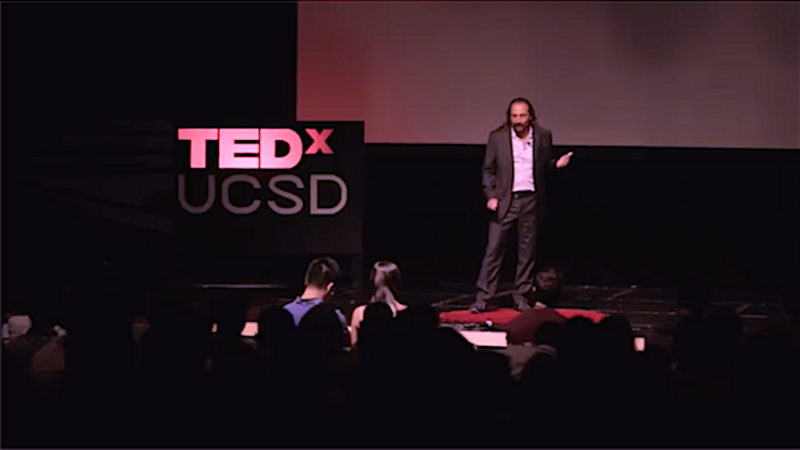 Below is a video of Nassim Haramein giving a TEDx talk at USCD. Nassim currently leads teams of physicists, electrical engineers, mathematicians and other scientists to explore the frontier of unification principles and their implications. Haramein’s lifelong vision of applied unified physics to create positive change in the world today is reflected in the mission of The Resonance Project Foundation. He shares the developments of his research through scientific publications and educational offerings through the Resonance Academy. HERE is an example of some of his published research, with co authors, one of whom is Elizabeth A. Rauscher, an American physicist. She is a former researcher with the Lawrence Berkeley National Laboratory, Lawrence Livermore National Laboratory, the Stanford Research Institute, and NASA.